Battling burnout has become one of the most important things physicians need to do to maintain a healthy lifestyle and practice. According to the General Social Survey of 2016, workers are twice as likely to report feeling exhausted compared to 20 years ago. Clinical practitioners experience burnout at an even higher rate in certain specialty areas such as anesthesia, dermatology, emergency medicine, family medicine, internal medicine, obstetrics/gynecology, radiology and surgery, reporting symptoms at a rate of 40% or more. The demands of the medical workplace have significantly increased over time. Multitasking, information overload, taxing hours, high stakes, excessive workloads and even electronic health records breed a commonly overlooked symptom of burnout: chronic exhaustion. In combination with other symptoms like loneliness and isolation, exhaustion can accelerate burnout, often causing physicians to leave their practice. 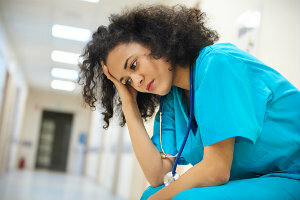 Fortunately, you can identify and address symptoms of burnout and sustain the passion for your medical work using these effective coping strategies. According to a December study published by the Journal of the American Medical Association (JAMA), nearly a third of doctors are at high risk for depression or already are depressed early in their careers. Psychiatric training and counseling can intervene on both sides of the coin by preparing doctors to better support their colleagues during a crisis, and offering personalized support throughout a career. One of the most feared contributors to burnout is a medical malpractice lawsuit. By the age of 65, 75% of physicians in a low-risk field have faced a lawsuit, while 99% of those in high-risk specialities have faced a lawsuit. Many physicians have had to deal with a lawsuit alone, and often feel abandoned by their medical community. To combat this problem, doctors should reach out directly to their family, colleagues and friends to ask for their support. Practices can help create a safety net by implementing an intervention such as Efficient Emotional Management which guides physicians through a multimode process of managing relationships. You may scoff, but laughing and sleeping are high on the list of ways to practice self-care. Laughing activates stress-reducing endorphins, elevates your mood and soothes you during anxious moments. Protecting your slumber reduces stress and allows your brain to recharge. Research has shown that an extra 40 to 60 minutes of sleep each night would make people happier, healthier and safer. Unpredictable medical schedules and long hours can impact the amount of time spent with your family. But sustaining relationships outside of work is one of the most effective ways to prevent burnout. Plan activities that are positive, and spend time with people who relax you. Pressing issues like physician suicide, abandoning a practice and poor patient care are all the result of physician burnout. Becoming aware of the signs and symptoms, advocating for your own health and instituting practice-wide care will create a more compassionate workplace, and allow more doctors to keep doing what they love.